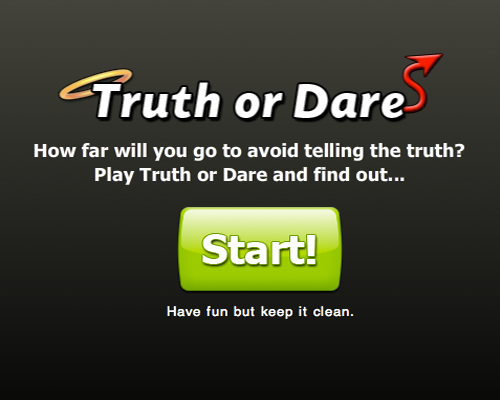 Truth Or Dare: 2 Players collaborate in real-time. 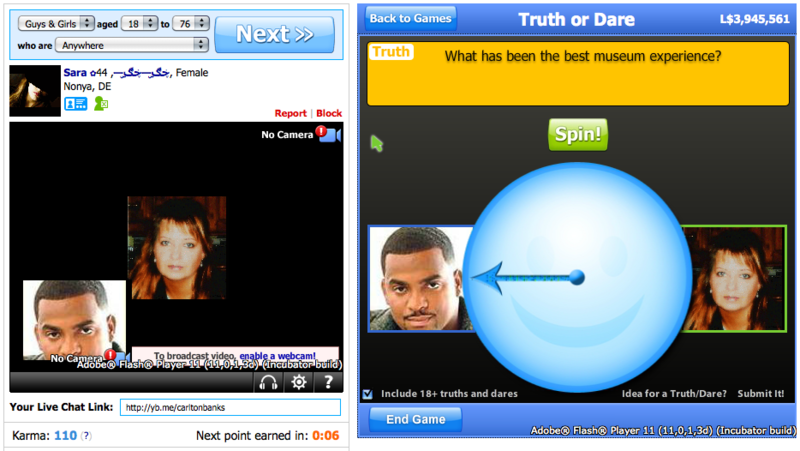 Either player spins the wheel which lands on 'Truth' or 'Dare'. 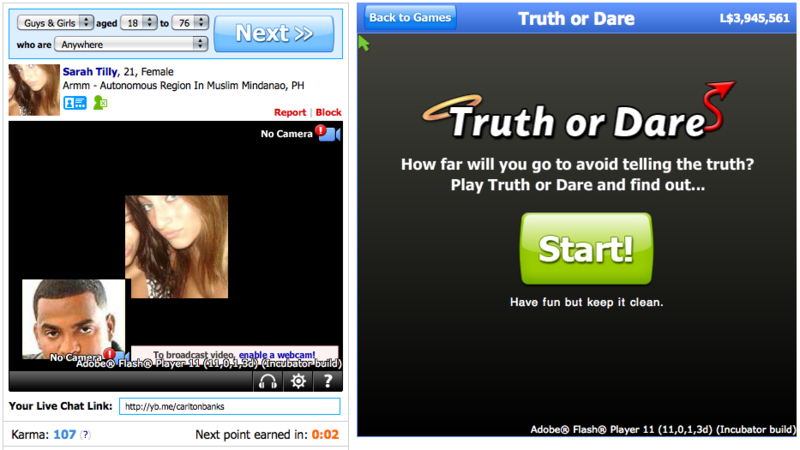 That player then answers the provided truth or accepts the provided dare, using the live web-camera and live microphone. Role: I first built a proprietary multiplayer-gaming AS3 API & Platform (see post). Client delivered game specifications and all assets. 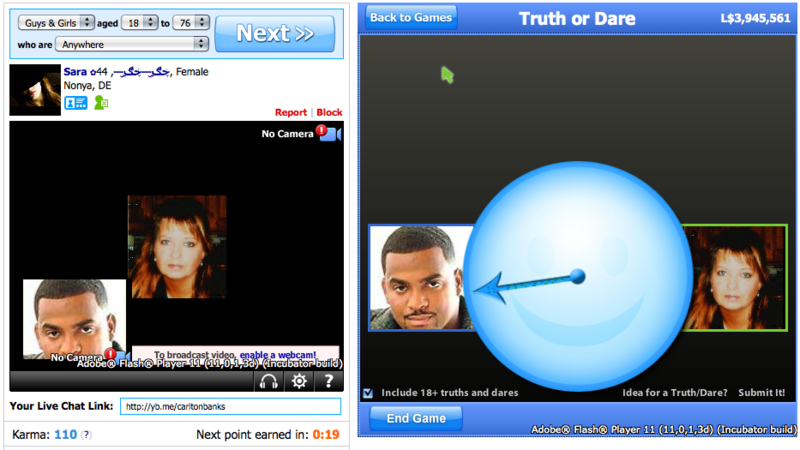 I then completed all programming and development for the game targeting Flash Player 10.